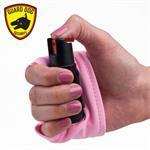 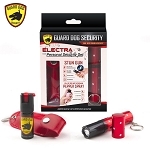 The quickest, most convenient pepper spray unit is now available in the Guard Dog InstaFire. 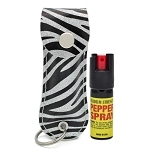 Ideal for walkers, runners, joggers and anyone wanting quick and instant protection, InstaFire is a lightweight, non-abrasive sleeve that swiftly glides into the palm of your hand. 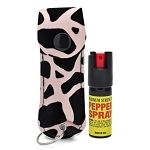 The active wear material stretches comfortably to any hand size, positioning the Guard Dog red hot pepper spray in your palm for immediate use, without feeling bulky. 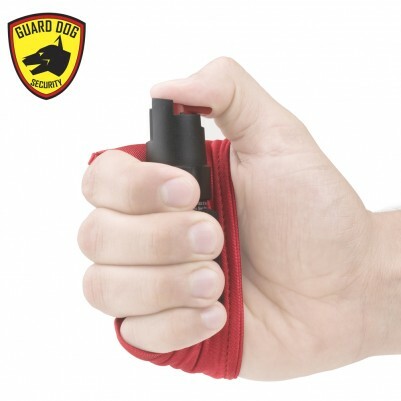 The Guard Dog 18% pepper spray is ready for use within a fraction of a second with the twist of your naturally poised thumb. 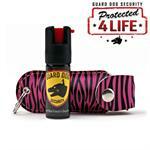 InstaFire ensures the spray does not fall or break loose, regardless of the movement and position. 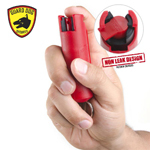 Guard Dog’s pepper spray delivers a fiery stream up to 12 feet, with reduced wind blow back. 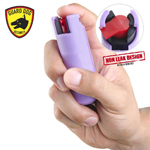 This unit entails the same ingredients used by police and military worldwide. 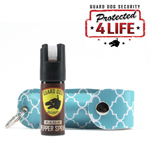 The pepper spray unit includes Guard Dog’s exclusive Protected 4 Life program, allowing free replacements in the event use.